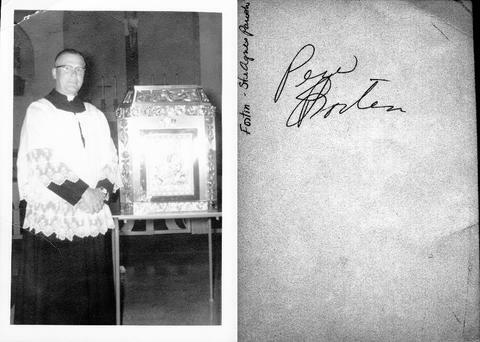 One photograph of Father Laurent Fortin standing beside a tabernacle inside a church. Father Fortin was a priest at Ste. Agnes Church in Azilda from 1959-1971.